We are finally starting to work on some house projects that have been two and a half years in the making. Really I have only been putting it off for 21 months. I know it has been this long because I have a visual history of it on Instagram. This post should really be called "I promise I am not crazy. I have a really good reason why it took me this long to paint my house." 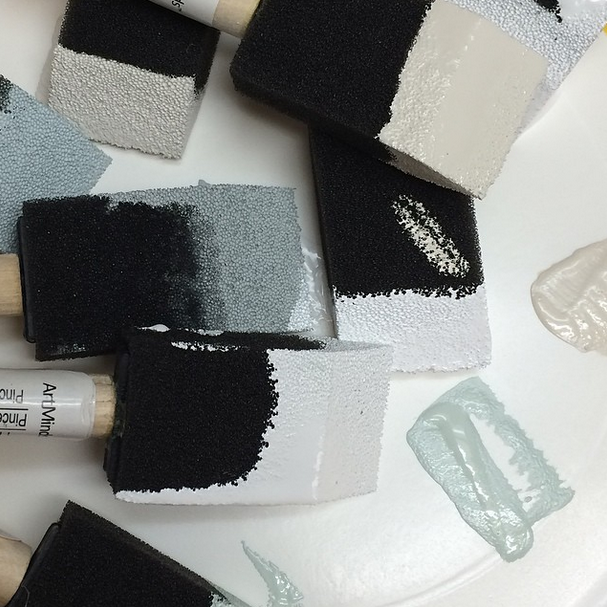 I start pondering what paint color and or paint colors I want to use in my entry. It is 20 feet high and I really don't want to get it wrong because this is probably only happening once every 150 years. 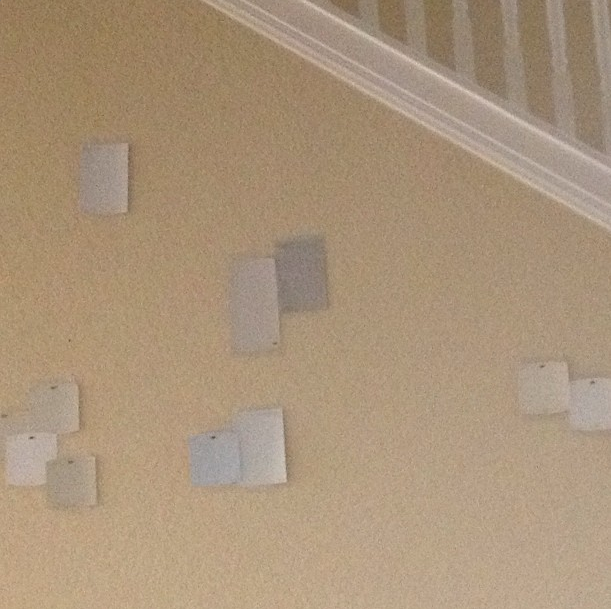 Feeling ambitious I pick out some paint swatches at Home Depot and tape them to the wall. They sit there from three months. I ditch the entry, to hard, and paint our master bathroom. Even though I am in love with it (and in love with the straight lines I got using Frog Tape for the first time) I remember how much I don't actually love painting. I then left them there for a year. 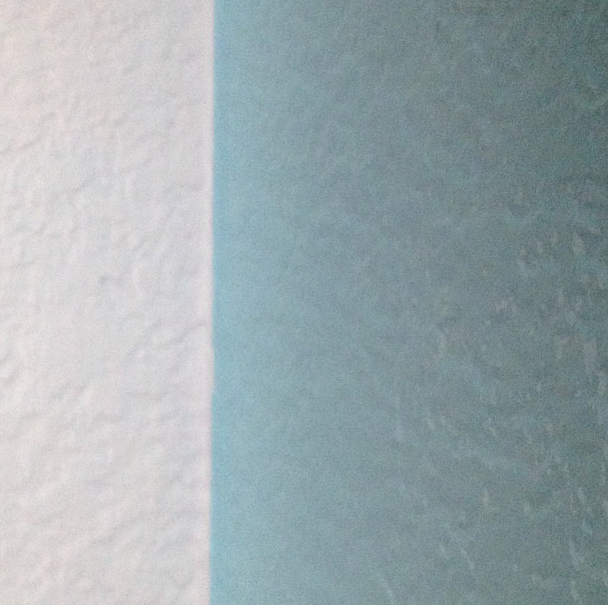 Then we decided on a color, painted one wall, and I immediately decided it was wrong. Owen learns to color on everything with pen. I narrow down my color choices and decide on colors for everything except the entry. That still has me stumped. I don't actually paint anything though. 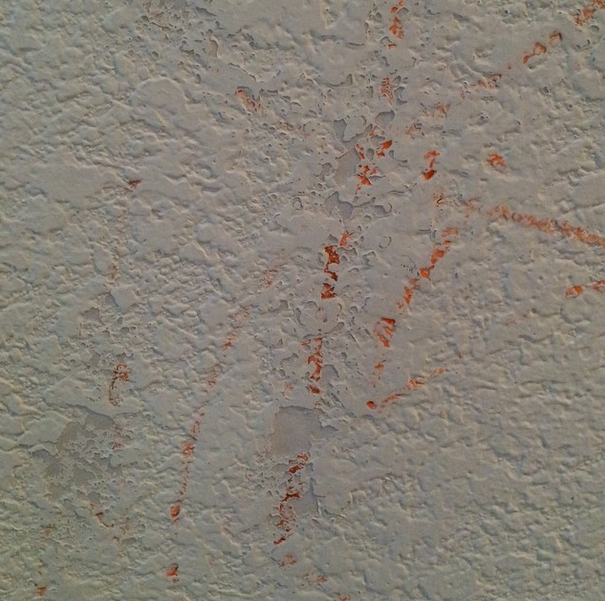 Owen changes his medium to crayon on wall. In an attempt to cover up some of his less desirable works, I choose a couple more colors for the entry and paint walls and pillars to see it in different light. I find a color I don't hate. I get quotes from painters. Most of the quotes make me cry. The random wall colors stay there for four months. I panic wondering if I really like the color I chose for the entry. 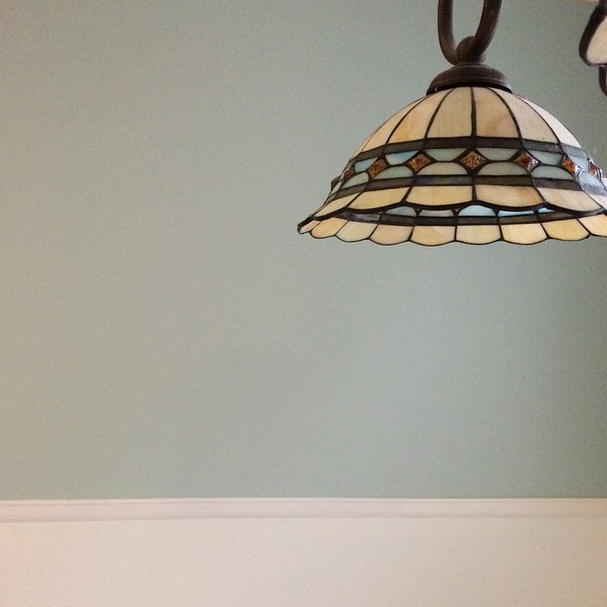 I paint the dining room because the bottom color is one of the colors I chose for the entry and wanted to see it again. 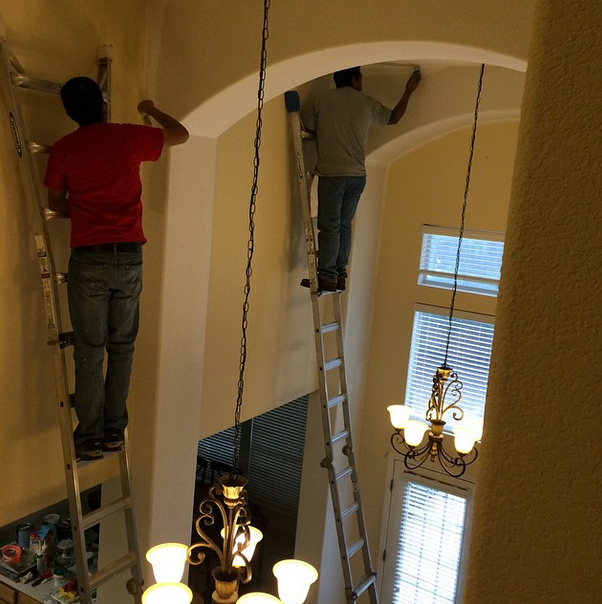 I am really glad it isn't me on those ladders. I am too busy keeping Owen off of them anyways. The walls look great. Now everything else looks like it needs to be updated. oh my goodness! I laughed most of the way through your post because I have been there, done that! Last year I ended up painting the entire inside of my house. Thank goodness I don't have ceilings as high as yours! Anyway, I ended up having a torn rotator cuff that was actually a stress tear, along with a serious case of bursitis, because of all the painting! A summer and autumn of physical therapy, lots of pain pills and missing out on kayaking, and I am now back to about 95%. 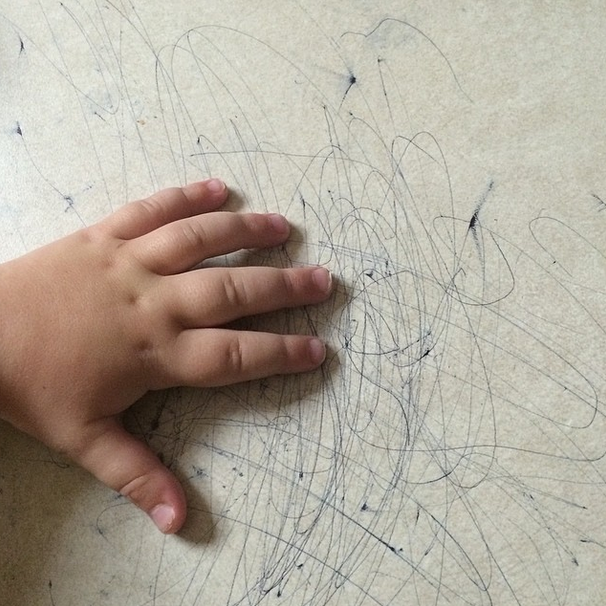 As far as your artist: my son did the same thing! So, when I got tired of scrubbing the wall, I made him do it. That didn't work, he still drew on the wall. When I asked him why he was drawing in the wall, I finally understood that it was his monster that he said chased the other monsters away at night in the dark. I got a picture frame, hung it up on the wall where his "art" was, and left it. I was afraid this would backfire with him thinking that he liked his "art" framed, but it didn't. He didn't draw on the walls anymore! Also, I like your choice of colors! How lucky that the painters called you when they had some time on their hands! Vickie, I am glad you are starting to feel better! We have a giant white board and I keep trying to decide if that will make the problem better or worse! My other option is to get rid of all the writing utensils! 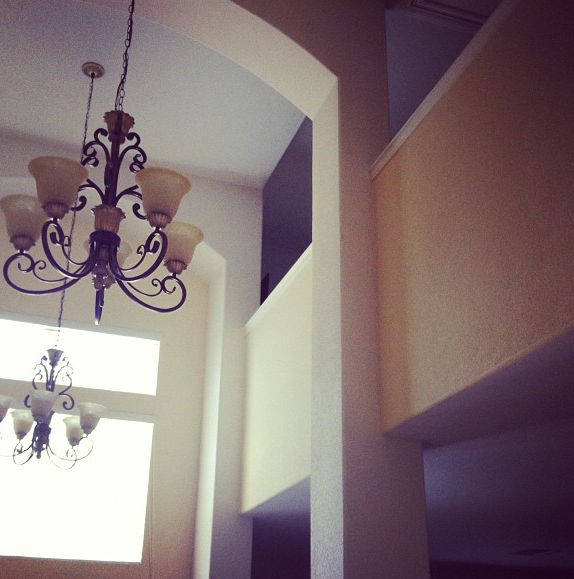 This house really has high ceilings, make sure those guys on ladders are insured.